21:56 on Sept. 07 – Brush Fire, Shore Rd. 17:07 on Aug. 03 – Ambulance Assist, Ridge Rd. 17:01 on Aug. 03 – Motor Vehicle Collision, Acacia Valley Rd. 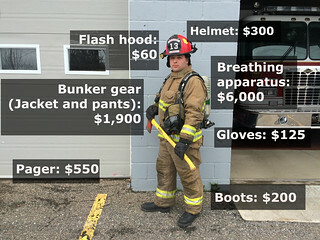 What does it cost to equip one firefighter?